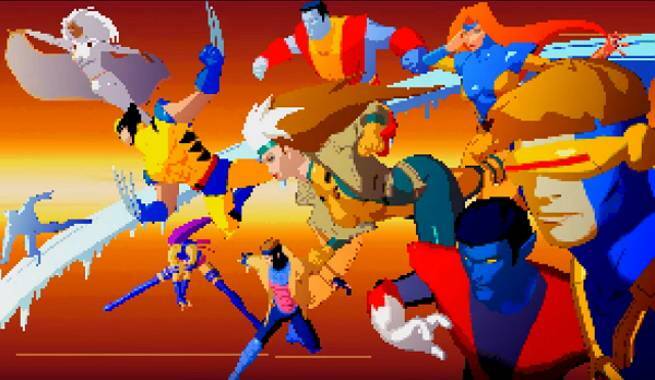 If you’re a comic book fan of certain age – say, my age – you probably have fond memories of X-Men: The Animated Series, which aired Saturday mornings on Fox from 1992-97. If that’s the case, you’ll probably want to check X-Men: Danger Room Protocols, a new animated web series from Joel Furtado that hopes to revisit that version of the X-Men in all of its glory. X-Men: Danger Room Protocols is planned as an 18-episode animated fan series, with each episode featuring two X-Men running through one of Professor X’s programs, featuring some of the X-Men’s deadliest foes. Each episode will be released for free on YouTube, beginning with “Survival” on Jan. 19. The episode pits Wolverine and Jean Grey against the Sentinels, as Jean accidently unlocks a power from within herself. Furtardo is an animator with 10 years of experience in the gaming industry, having worked for companies like Microsoft and Electronic Arts, but says his passion has always been comics, especially the X-Men. Now the question becomes whether Fox and Marvel will allow the series to run its course. Marvel Animation has no plans to develop another X-Men series, so hopefully they’re good sports about the whole thing.